from our Ocean City, NJ location at the 10th Street Wharf. If you are looking to rent a single or double kayak to launch right at our 10th St location, we got you covered! Rentals include a brief introduction on the equipment, kayak, paddles, and life jackets. 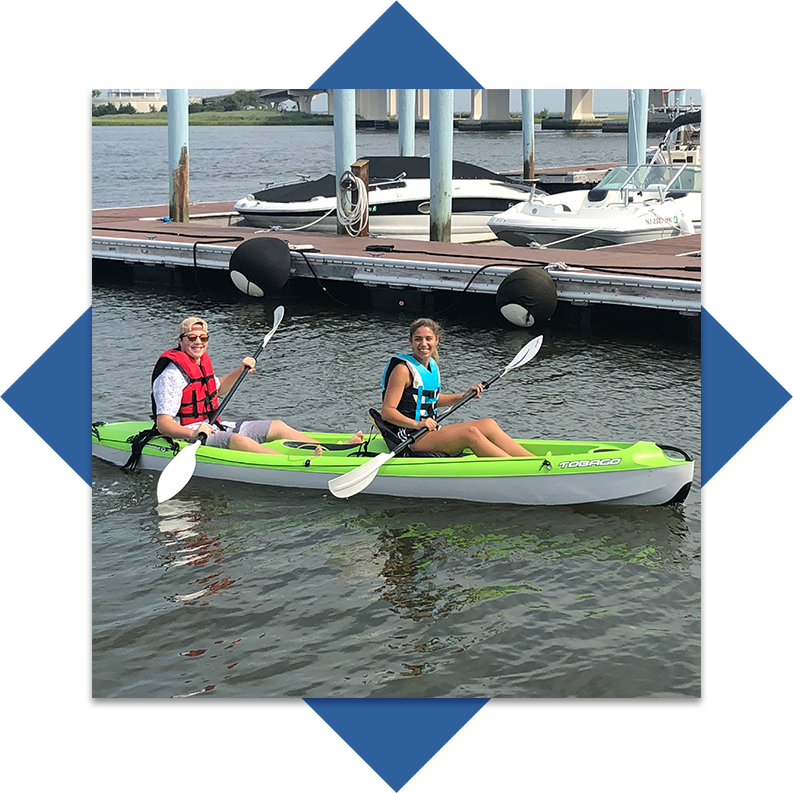 Paddle with us and check out the lovely back bays of Ocean City, NJ and the surrounding areas! Not sure where to kayak? Our staff can map out some amazing journey suggestions! We are currently offering kayak rentals daily in the summer. Click below to check availability & to schedule. Kayak Rentals start when you hit the water. Please arrive 15 minutes prior to your rental time.